I finally checked out a Nissan Altima at Al Awir last weekend….briefly… but it gave me a taste of what the car felt like. 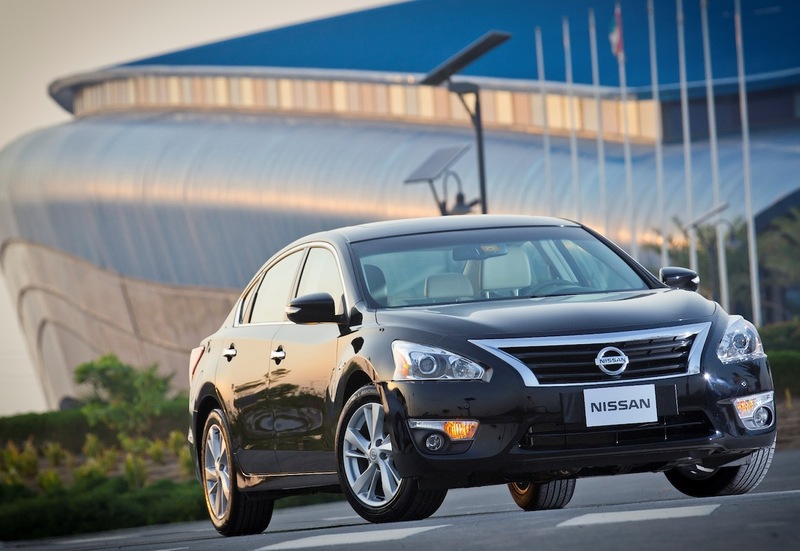 The 2013 Nissan Altima added another award to its trophy case with the Insurance Institute for Highway Safety (IIHS) “Top Safety Pick Plus” designation, which recognizes passenger vehicles for excellent performance in five passenger safety tests. Starting with 2013 models, IIHS introduced more stringent criteria and requirements to include the “Top Safety Pick” front, side, rollover and rear crash tests, as well as the newly added small overlap frontal test. The Altima scored well for each of these tests, adding the “Top Safety Pick Plus” award to the five-star safety rating from the National Highway Traffic Safety Administration’s New Car Assessment Program. The Nissan Altima is equipped with a variety of standard safety features, including the Nissan Advanced Air Bag System, driver and front-passenger seat-mounted side-impact supplemental air bags, roof-mounted curtain side-impact supplemental air bags, Vehicle Dynamic Control, 3-point ALR/ELR seat belt system, LATCH System (Lower Anchors and Tethers for Children), zone body construction with front and rear crumple zones and Tire Pressure Monitoring System with Easy Fill Tire Alert, which sounds the car horn to notify a person filling a tire with air when the recommended tire pressure has been reached. Available features include next-generation Safety Shield technologies, including Blind Spot Warning, Lane Departure Warning and Moving Object Detection systems using an innovative single rear camera.